Feel the evolution! 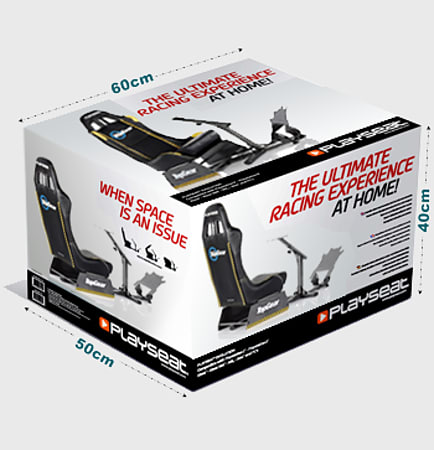 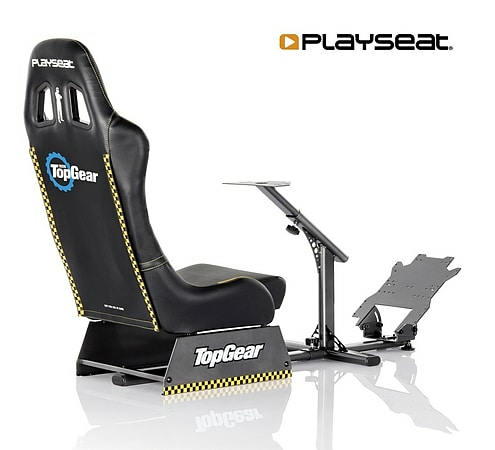 Take a seat and drive as fast as possible in the Playseat® TOPGEAR Evolution! Playseat® chairs are used by professional drivers like Takuma Sato to simulate races and to learn new tracks. 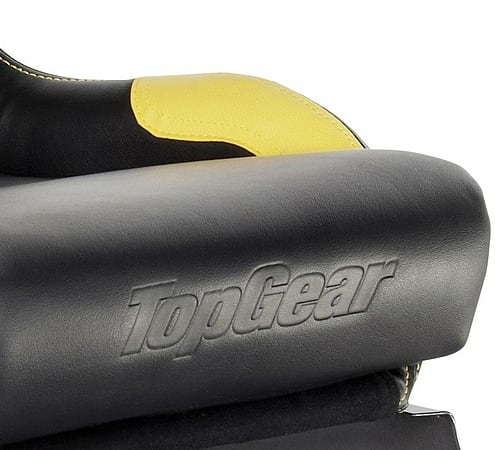 The Playseat® Evolution TOPGEAR seat has a black frame and is made of high quality leather-look black vinyl. 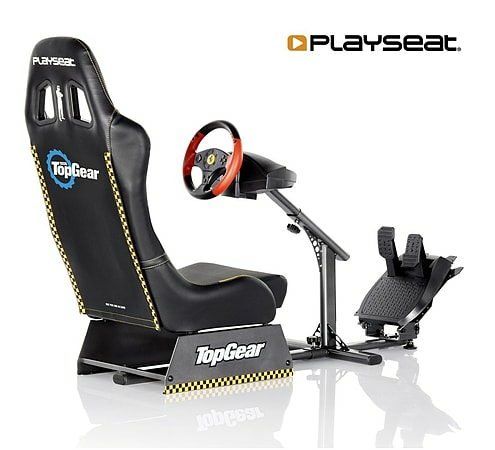 It can be used by adults and children, so all your friends and family members can enjoy this chair. 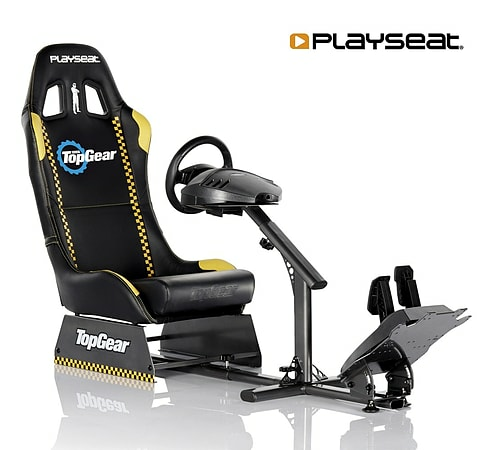 This seat is very comfortable, stable and highly adjustable. 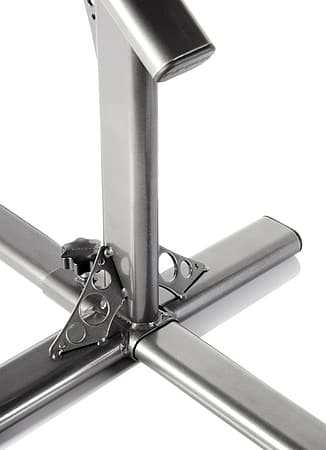 Thanks to its unique foldable design, it uses little space when not in use.